Investor Educator evenings can be very rewarding in growth and leads once you know what you’re doing. 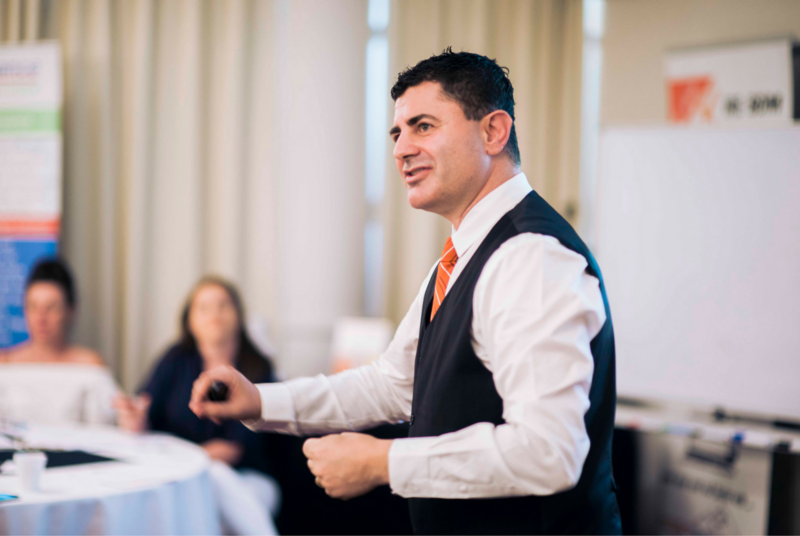 Deniz Yusuf signed up over 900 properties in 4 years and also coached his clients to collectively sign up 300 properties a month. Tip One – Select a date for your Investor Education evening. You will need to give yourself adequate time for marketing and lead up to this event. We suggest eight weeks for marketing. Picking the day in a week is your choice, depending on the type of people you want there and availability of speakers. It’s likely that you’ll find a Tuesday, Wednesday or Thursday evening to be best. Tip Two – Select a venue. Pick a venue that has plenty of parking and also good exposure for the night that you can place your signage out the front (like an open inspection) letting everyone know your brand is putting on an event. Consider a sporting club or a venue that has a lot of traffic and likely might have good traffic there on the night for more brand exposure. Tip Three – Select outside speakers. Pick people who will be able to educate your clients and prospective clients and influence their decision to have your forefront of their mind as their management agency. For example look to your referring businesses like mortgage brokers, accountants, conveyancers, strata managers and the like. Select the mix of professionals who are likely to educate your audience best and improve their decision to purchase more property. Who from your company is best able to speak to your audience about property investment and its benefits? It could the boss, a salesperson, a manager or someone from property management. Tip Five – What the BDM should speak on. The BDM is really the leading person to speak on the night because they are the one making the management connection and winning the business. They could be speaking on your points of differences, highlighting sore points investors face and how your service overcomes these key issues. Make sure you keep the event content light and not make the sessions too long as people in general on an evening will be tired. Tip Six – Have a promotion for the night. Speak with some property management providers such as landlord insurers, tax depreciation experts etc. and get them to supply you with an offer or prize available if they sign with you within x number of days.